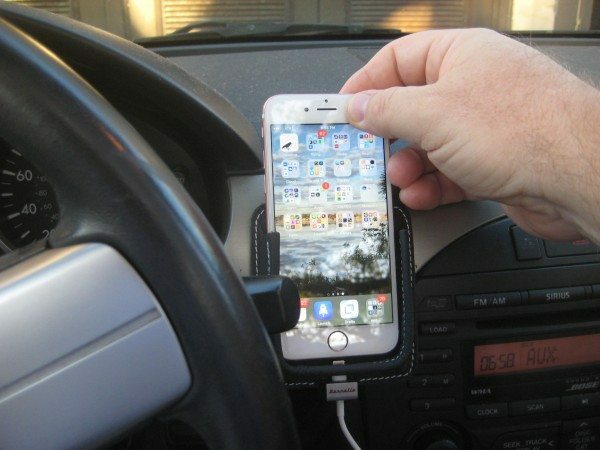 For a gadget geek, I’m surprised to say I’ve never used a car mount for my phone. Eighteen years in two Miatas, there has always been enough of a shelf space around the gear shift to set it down on. 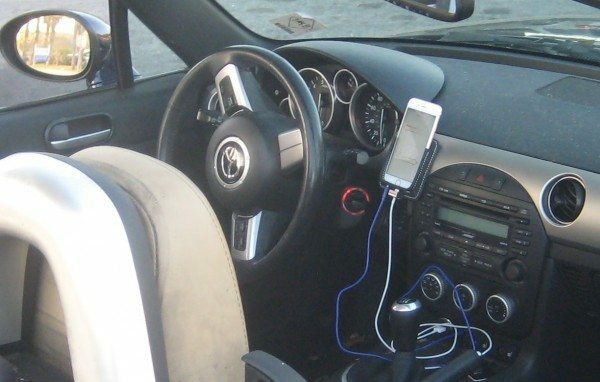 And holding the phone always seemed a good enough solution. 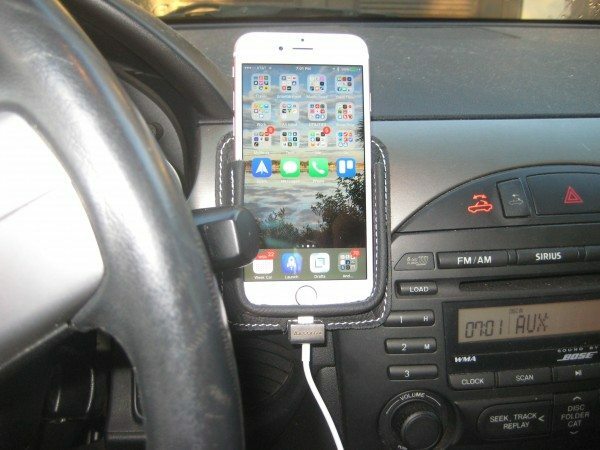 But as a new reviewer, I’m ready to try new things, so I happily volunteered to give my opinion about the Berrolia Premium Leather Car Mount for the iPhone (available for the iPhone 5 through iPhone 6s Plus models). Does it become a (semi-) permanent part of my car’s interior or end up on the “nice try” shelf? Let’s see. 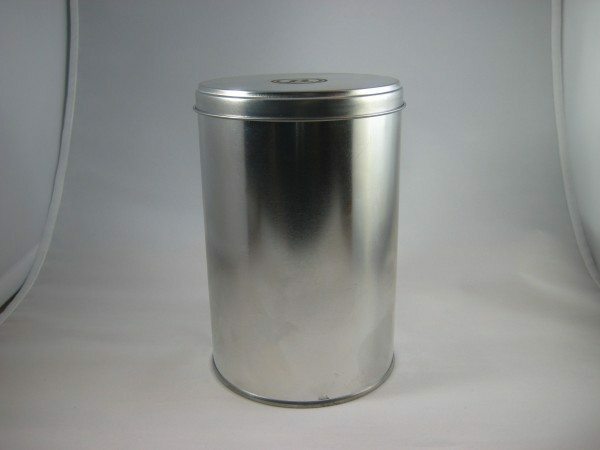 I had given no thought to how a car phone mount might be packaged, but I was a bit surprised to open the shipping box and see a bright shiny “tea cannister.” Somehow, I didn’t remember offering to review flavors of tea! Pulling the mount out of its cushiony foam, I was again surprised. This time by how solid and heavy it was. 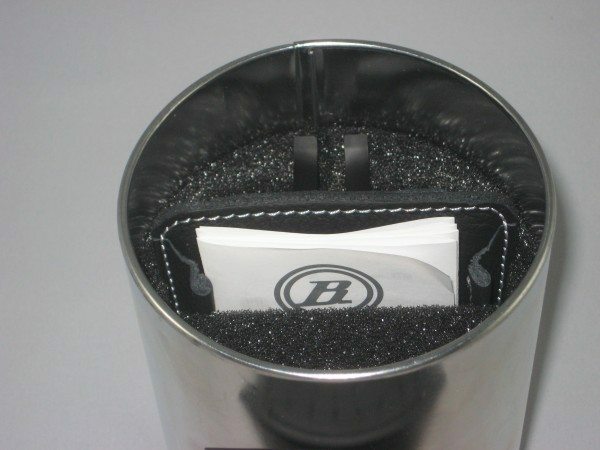 There is a stainless steel backing plate stitched inside the leather exterior. 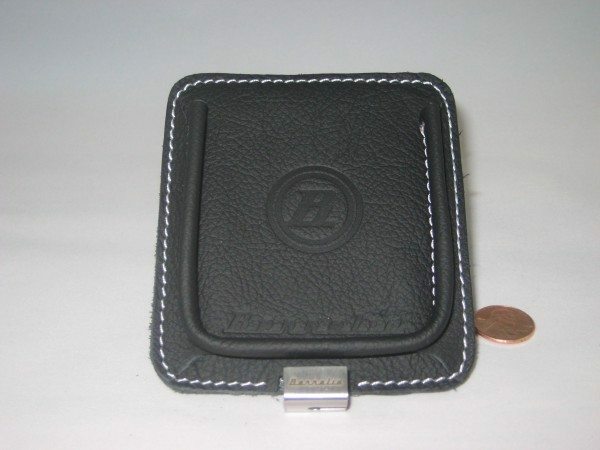 The leather was a beautiful nobby black, with perfect white stitching around its edges. It looks every bit as classy as the website photos. (Now that I’m reading carefully to write this review, I see that the stitching is “beautiful silver.” It’s great, it just looks white.) The mount is handcrafted in Poland and really does look premium. 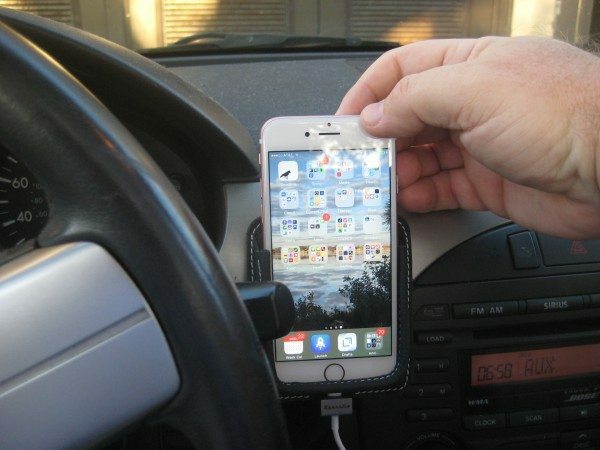 One of the primary goals of the designers was that it be easy to insert or remove the phone one-handed. They nailed it. It’s very easy to slide it down and right on to the lightning connector of your Apple cable. And it’s just as easy to remove it. A tiny tug as you exit the car and the phone is right with you. The one stipulation in the instructions was that the mount is designed to work only with an Apple cable. The small metal piece at the bottom that looks like it might just be decoration holds the cable in place and is carefully sized only for that cable. Holding the cable firmly in place is actually the secret to the one-handed insertion and removal. Other cables might be too large to fit into the cable grip or too small to keep the cable in place when disconnecting the phone. My third surprise was that the entire bottom of the “U” shape of the holder is not fastened to the backing. Though unexpected, it’s a good solution. 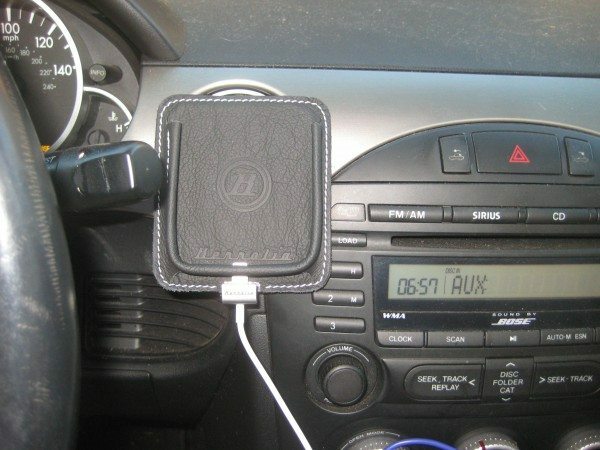 It allows the jack to be accessible for headphones or a cable to carry audio output to the car sound system. The four springy prongs on the mount slide easily over the horizontal slat of an air vent. A very easy installation, but it seemed a bit loose. Reassuringly, though, there was a small double flap of leather included. Instruction drawings made clear that this could be added over an air vent slat to hold the mount more firmly in place and it did the job admirably. As I’ve had the mount in use for a couple of weeks, the holder has developed a bit more room. I like it better when new shoes have broken in a bit, so maybe my phone is even a bit happier in the mount. But it is still well anchored and I have no concerns about it falling out when cornering. It also does seem clear that a slim case would fit well in the holder. The pricing seems reasonable to me at $60 USD for a premium product. My only regret is that I chose black to go with the black and silver interior of my car. The item is so attractive I wish I picked red, blue or tan so it would call attention to itself. But I’m keeping it. But I’m going to have to wind up the cables, etc to make the installation as nice as the mount. 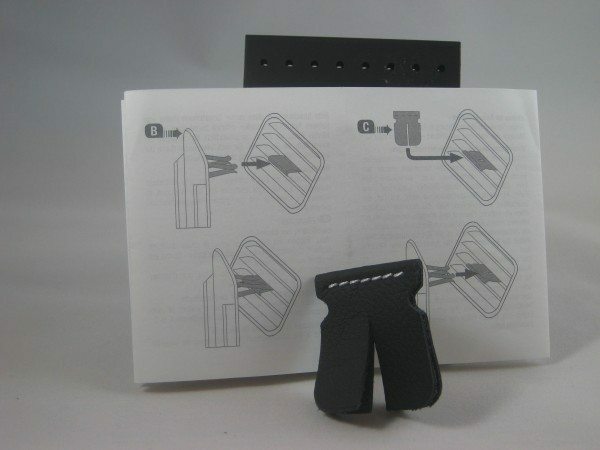 Source: The sample for this review was provided by Berrolia. Please visit their site for more info.